Here at SensibleInvesting.tv, we read the weekend money pages with wry amusement. Buy this asset class, sell that one... snap up this share while it’s cheap, dump that one before it bombs... you know the sorts of stories we mean. For us - as you’ll know if you’ve watched any of our videos - that’s all just tittle-tattle. Speculation. Noise. To be fair, the money sections probably aren’t too keen on us either. After all, the more people discover for themselves the now overwhelming evidence that they’re better off shutting their ears to all that noise, and investing for the long term in low-cost index funds instead, the less they’ll want to waste their precious weekends poring over those latest share tips. 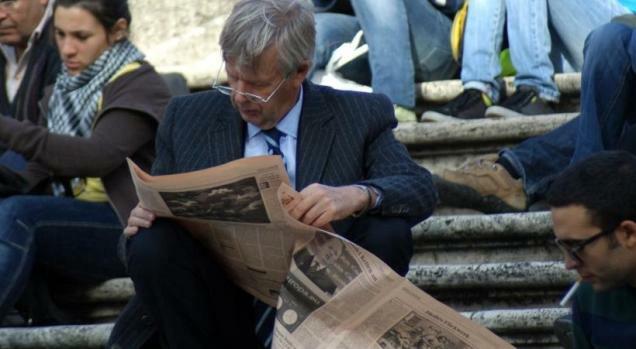 Not surprisingly, there’ve never been too many column inches devoted to passive investing. Whenever the subject has been tackled, the language the writers use to describe it - “cheap”, “unexciting”, “middle-of-the-road” and so on - has often betrayed their lack of enthusiasm. And who can blame them? Active investing does make for better copy. And active funds are the ones providing the papers with much-needed advertising revenue, after all. In that sense, the fund managers and the media need each other to survive. They share a vested interest in perpetuating the illusory notion that if only we find the right manager, who knows which shares to buy and sell, and precisely when to do it, we can be one of the winners. Which is why it’s rather surprising that there has actually been a fair amount of coverage of passive investing in all the major UK broadsheets in recent months. And much of it really quite positive. Take Mark Atherton’s piece, Trackers hit the top spot (link if you have a subscription) in The Times, for example. The article refers to the latest performance tables published by Investment Life & Pensions Moneyfacts. According to the tables, HSBC’s Pacific Index tracker, for instance, came tenth out of 64 among Asia Pacific funds over the 12 months to 1st October, and eighth out of 50 over five years. In the global sector, the article reports, L&G’s Global Index Fund came second out of 140 over five years - and, wait for it - top of 191 over 12 months. In the North American sector, the top two funds over 12 months were both tracker funds - HSBC American Index and Vanguard US Equity Index. By contrast, not a single actively managed fund in that sector beat the S&P 500 index over the same period. “This is a grave indictment of actively managed funds,” Atherton rightly states. Mark Atherton is, in fact, one of several prominent money journalists to have lauded the benefits of passive investing lately. Don’t expect any mass conversions among his colleagues any time soon. That would be akin to turkeys voting for an early Christmas. But it is, at least, encouraging that increasingly there are media pundits willing to break rank. And remember, before consigning future copies of The Times money section to the recycling pile, Mark Atherton’s column is one you might want to take the trouble to read.